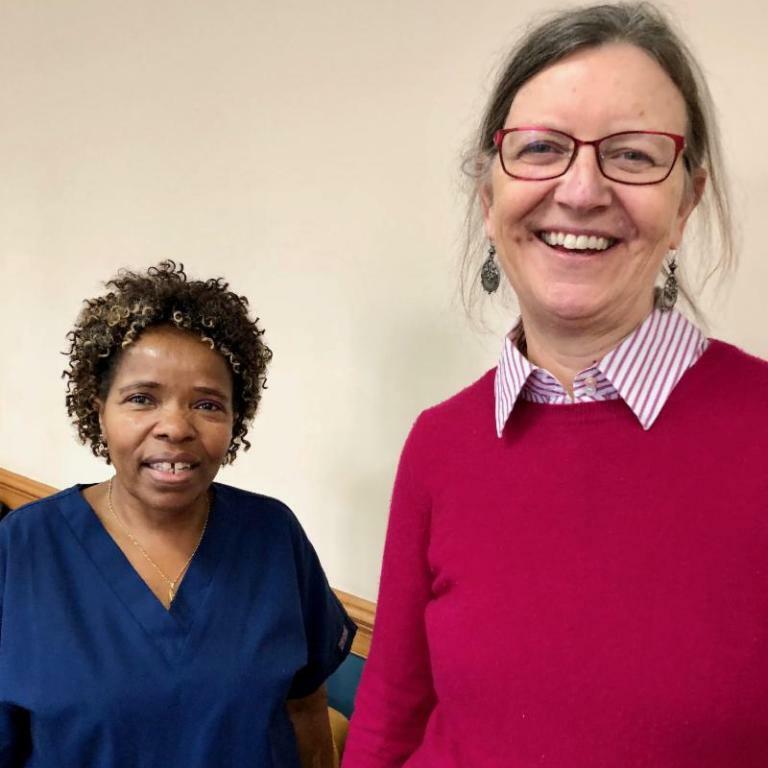 A full-time Certified Nursing Assistant, Faye only had the chance to visit the Silver Spring office once every two weeks. Yet she was enthusiastic to start learning, and soon reached her goal in the Next Step Program…learning how to search for jobs on the internet. Doug Leavens, a volunteer Computer Mentor from Christ Church, Kensington, taught her how to reset the password on her own laptop so she could practice at home. "Now I know how to do it myself" she said, taking satisfaction in this new empowerment. Faye was the first participant to benefit from a new curriculum to help teach participants basic computer skills. This was designed by Alex Schmandt, a volunteer Computer Mentor and Partner Representative from St. John's Norwood. On Faye’s next visit she learned how to do online banking! She has continued setting and taking next steps with her caseworkers! This past November Faye stopped in for her Thanksgiving food bag and to get additional computer help applying for the benefits that come with HER NEW FULL-TIME JOB as a health aide at Kingman Farms! Congratulations to Faye!